"Faster than a speeding bullet! More powerful that a locomotive! Able to leap tall buildings at a single bound!" "Yes, it's Superman - strange visitor from another planet who came to Earth with powers and abilities far beyond those of mortal men. Superman! Who can change the course of mighty rivers, bend steel in his bare hands, and who, disguised as Clark Kent, mild-mannered reporter for a great metropolitan newspaper, fights a never-ending battle for Truth, Justice, and the American Way!" National Comics had already given life to its most popular hero in a series of lavishly produced animated cartoons, two action-packed movie serials, and a long-running radio series produced by Robert Maxwell. Television was young and hungry for new programming. The next logical step in the evolution of Superman was obvious - a collection of half-hour episodes for the small screen. Robert Maxwell was given the reigns as head of this latest Superman production. National also drafted Whitney Ellsworth from the New York offices to prepare a pilot script. The producers decided to launch the project as a motion-picture in the event that television failed to catch on. Filming began in the summer of 1951 on the back lot of a movie studio in Culver City, California. The movie was called Superman and the Mole-Men and was filmed in twelve days. The project was produced by Barney Sarecky. Radio and film veteran George Reeves was cast in the lead role of Superman. Phyllis Coates was cast as Lois Lane. Superman, Clark Kent, and Lois Lane were the only regular cast members included in the film as Robert Maxwell was still in the process of finalizing the rest of the casting for the series. The movie was a blend of science-fiction and social commentary and provided plenty of opportunity for Superman to establish himself as the ultimate action-hero. This feature picture was designed to be the first of a series of television episodes made specifically for syndication. It had been begun shortly after the release of Superman's second Kirk Alyn movie serial in 1950 and while the Adventures of Superman radio program was still being broadcast. 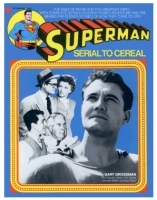 After director Lee Sholem completed filming for the feature movie introduction of Superman, Tommy Carr joined the production team. Within two and a half months, he had directed fifteen of the first season's offerings while Sholem had directed the remaining nine. Superman and the Mole-Men was edited into a two-part episode called The Unknown People which completed the first set of twenty-six episodes. Filming for the entire first season had been completed before the end of 1951. In November of 1951 Superman and the Mole-Men was released theatrically and became an immediate success. The story was a plea for tolerance on behalf of a subterranean race and the public was impressed with the affable dignity and earnest conviction that George Reeves brought to his interpretation of Superman. The television episodes were edited, special effects elements were added, and the background and theme music added. These episodes were introduced to the airwaves in early 1953. The first episode, Superman on Earth, featured Superman's origin much as it had been presented in the George Lowther novel: Krypton's ruling council was lead by "Ro-zan" - unlike the Ro-zan of the movie serials, who was a young contemporary of Jor-el, this Ro-zan was an elderly, white bearded statesman. The council was located in the "Temple of Wisdom" and Clark Kent's foster parents were named "Eben" and "Sarah" Kent, names taken directly from the novel. Monday nights are thrilling nights on channel 7, with famed "Superman" and his unequaled feats of daring bringing to TV viewers entertainment of the highest order. Bows go to George Reeves, who won the stellar role after more than 200 candidates were auditioned and interviewed. Reeves brings to the character of "Superman" an absolute believability that at first glance would seem to be beyond the powers of a young actor. Reeves completely fulfills the conception of the fabulous character known to millions. "Superman" is sustained TV excitement from the moment when the planet Krypton's leading man of science, fearing the planet's destruction, places his infant son in a small space ship and sends it hurtling to Earth. Each episode is complete in itself, but the viewer's curiosity is such that each succeeding chapter is eagerly awaited. With the initial success of the first twenty six episodes already a proven fact, production of another twenty six was ordered by National Comics. The series went back into production in the summer of 1953 after nearly a two year hiatus since the first episodes had been finished. But now the series was under new leadership. Robert Maxwell and his team were replaced by Whitney Ellsworth as producer and comic book editor Mort Weisinger as story editor. They were both from National Comics, the Superman, Inc. parent organization. National Comics had felt that although Maxwell generated a solid show, it was a little too serious and hard-hitting for their taste. Whitney Ellsworth was brought in to tone it down by underplaying the violence and injecting more humor and wholesome entertainment. Ellsworth made more frequent use of Jimmy Olsen and Inspector Bill Henderson in his episodes of the show. Phyllis Coates was not available to reprise her role as Lois Lane, so the production was in need of a new actress. Ellsworth turned to the perfect replacement, someone with just the right experience: Noel Neill was brought in to reprise the same role that she had portrayed for Sam Katzman in the 1948 and 1950 Superman serials at Columbia Studios. In 1953, Whitney Ellsworth produced another 26 episodes. Color was introduced in 1954 and would be used for the remaining 56 episodes, produced from 1954 to 1957. The standing sets got a fresh coat of paint and the wardrobes were reconsidered for their appearance on color film. The first thing to be replaced was George Reeves' chocolate and gray Superman suit - now Superman would be outfitted in his traditional red and blue action uniform. The new color suits, however, were designed to still provide enough contrast between the red and blue to suggest the different colors in the black and white prints that were initially made. 1954 was still ten years away from color television broadcast capabilities being commonplace and viewers would not actually see Adventures of Superman in color until years later. By the time the series ceased production in 1957, George Reeves had become the definitive Man of Steel for generations of television viewers. "Superman is a legend. We had no idea that we were involved with anything that would go on and on, and I'm sure it will still be going on long after we're all gone." Episodes of Adventures of Superman, the soundtrack CD, episode guides, and MORE are all available at the Adventures of Superman Online GiftShop! Pictures and article from Superman on Television by Michael Bifulco with additions from Superman: The Complete History by Les Daniels.